Find Hidden Reminders of the Coal Mining Boom. 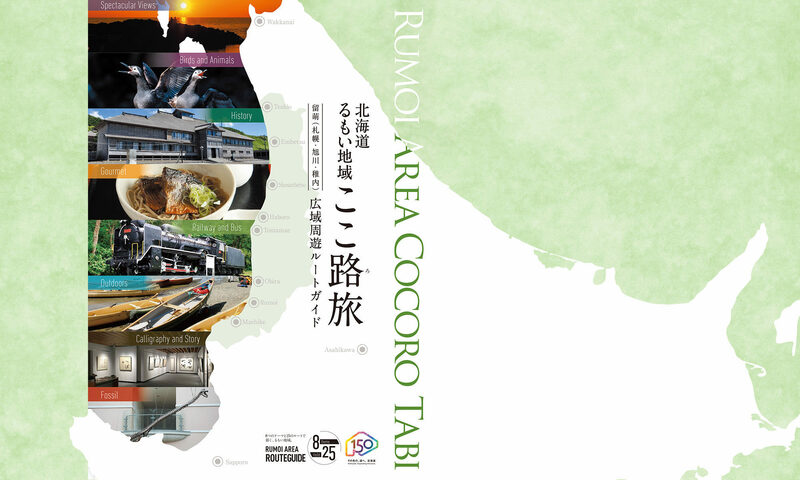 The coal field of Rumoi stretches through Rumoi, Obira, Haboro, Sorachi and Numata. The Owada mine was opened and large scale mines in Haboro, Teshio, and Toyohira followed. All the mines produced high quality coal which became the base of regional prosperity. We can get a glimpse of those years through the mine relics which remain amidst the mountains. The Haboro Coal Mine was founded in 1939 by Kaneko Naokichi, the head of Suzuki Shouten, a successful mercantile conglomerate during the Meiji and Taisho eras. You can still see the remains of hoppers for coal storage and the apartments which were built during that time. The Daigo building, which housed the main office, still stands in Sapporo at Chuo ku Odori 5 Chome. The name of this school was derived from Taiyo Soda, the company which succeeded Suzuki Mercantile. This building was completed in 1966. There was also a pool and enrollment once ranked first or second in the Rumoi Area. This building originally was the Taiyo High School, but it became Akebono Elementary School after the high school was closed in 1962. Akebono Elementary was also closed in 1990. The emblems of both schools are still on display in the entryway. You can still see the company emblem on this shaft tower which was built in 1964. This tower had a major role in the mining operation at the Haboro Coal Mine. The Kami Haboro mine transported coal to the main Haboro mine by cableway. 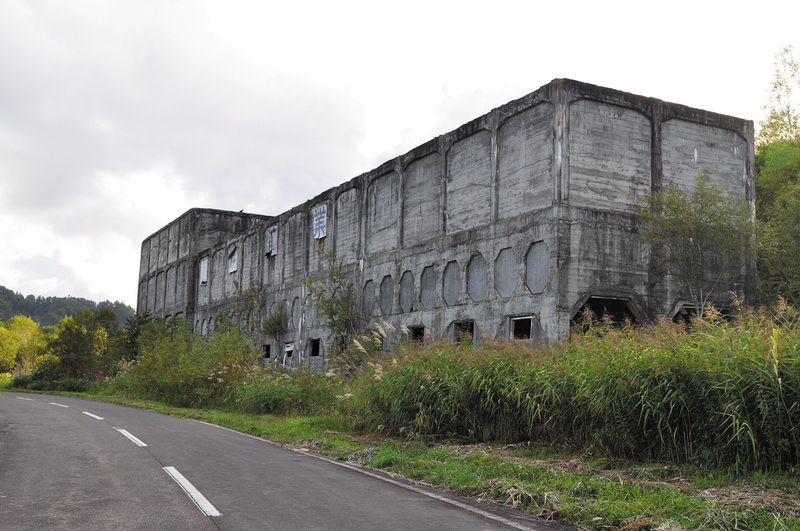 The picture showed here is a former coal storage facility. 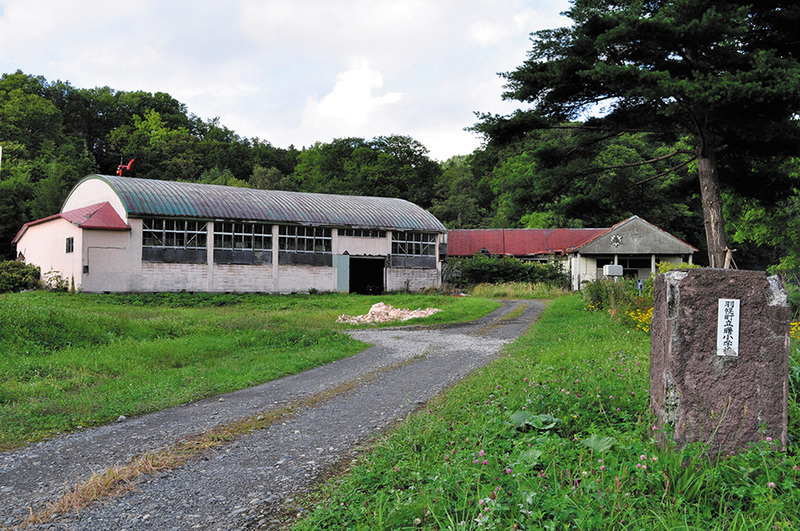 The Haboro Coal Mine: Closed after a mere 30 years of business. Suzuki Shouten (mercantile) was a business which was on a level with Kobe Steelworks, Sapporo Beer, Nippon Flour Mills and other big conglomerates of the Meiji and Taisho eras. What remains from the last endeavor of genius entrepreneur Naokichi Kaneko can be still be found standing among the mountainsof Haboro. Suzuki Shouten went bankrupt after the Showa era financial panic. 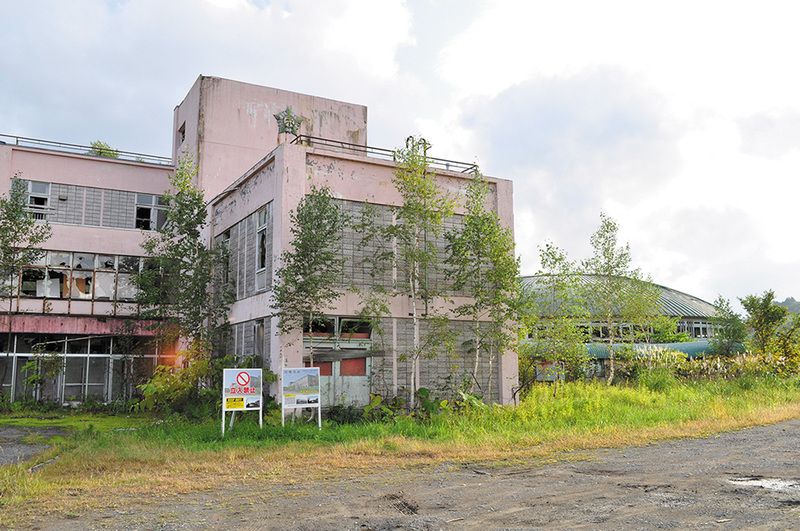 While working at Taiyo Soda, Naokichi Kaneko began to realize a dream of a “Suzuki Renewal” under which development on the Haboro mine began in 1939. The mine was opened in the following year. Construction of the mining railroad had also began and the Haboro Mining and Railroad Company Co.Ltd. was established as a result. A secondary mine was opened first in Kami Haboro in 1947 and the main Haboro mine began operations in 1949. High quality coal continued to be produced from these mines, and a record 1,140,000 tons was produced in 1968. Business boomed and the main office was set up in downtown Sapporo but times eventually changed, business waned and this chapter of history ended in 1970. When you observe these remaining relics, you will get a feeling for the scale of a coal boom which led to the creation of over 10,000 jobs. The Engan Bus company conducts guided tours of the Haboro mine ruins. During the tour, adriver/guide will tell you about local history and various points of interest. The tours can be individual or group. This is set up on a reservation only basis. Tour reservations can be made daily from the end of April to the end of November. Each tour is about 2 hours long. 3 people can ride in 1 vehicle.